Homemade Crispy Potato Chips & Awards..! 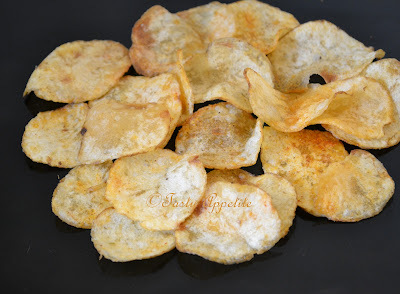 Who doesn’t love munching on homemade crisp n spicy potato chips with hot cup of chai in a chill evening…? Yes, they make the perfect snack that everybody loves and tastes really good, seasoned with freshly ground pepper and red chilly pwd. 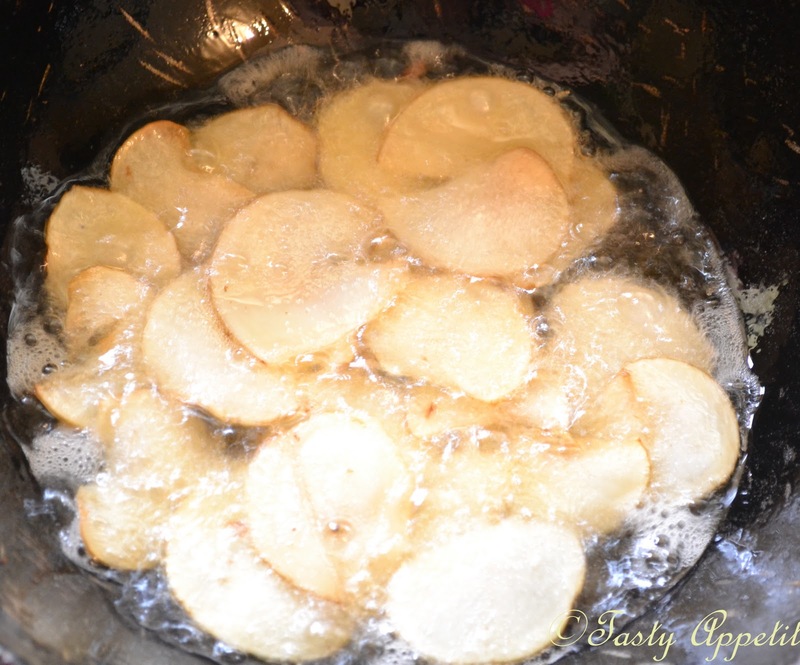 The biggest secret to making light and crispy potato chips is to soak the potato slices in water to wash away the excess starch. The slices to be even, with a thickness of 0.5 mm. With a mandolin slicer, you can get even slices quickly, as opposed to slicing them by hand. And the oil temperature in frypan is important too. The potato slices have to be deep fried in very hot oil. Don’t overcrowd the pan. Fry the slices in batches to golden. Try out this tasty & easy alternative to store-bought potato chips and delight your kids…! 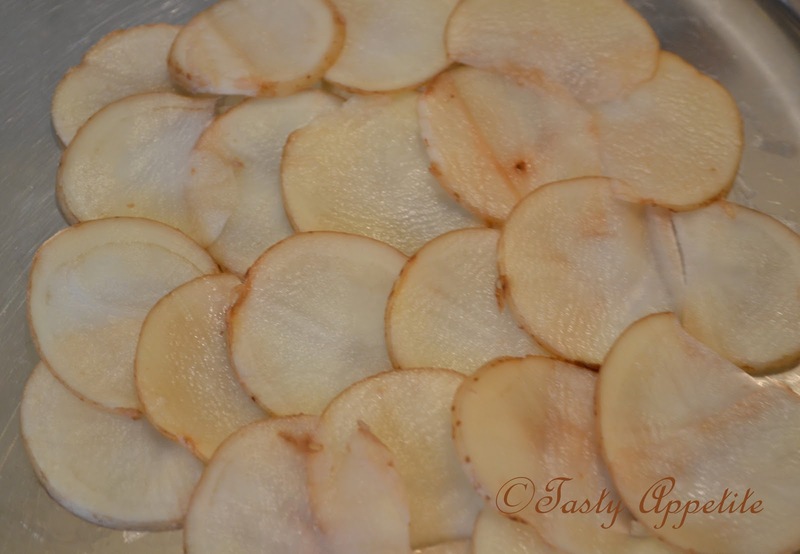 Slice potatoes to thin slices using mandolin slicer. Put all sices in a big bowl of water. Allow to soak for about 20 minutes. 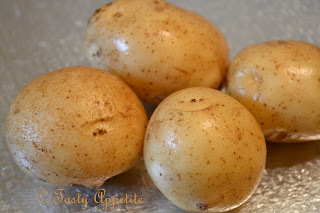 Drain water completely from potato slices, using paper towels. Drop the slices in batches. Make sure that the slices, do not stick to each other and all are under the oil. Drain and reserve on kitchen tissue. While chips are hot, season with salt, freshly ground pepper and red chilly pwd. 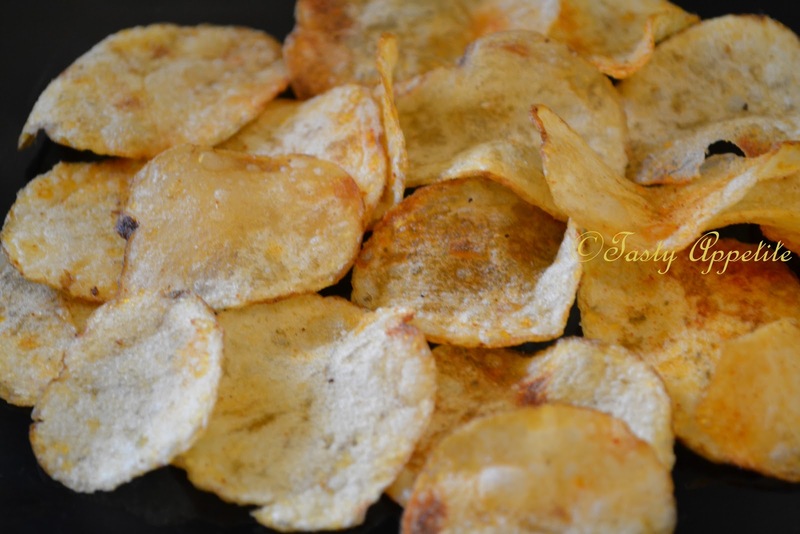 Lipsmacking crisp n crunchy homemade potato chips ready. Wishing a lovely day to all..
wow! my fav.potato chips........... looks yummy!!! Crispy n crunchy snack. All time favorite. Yummy! Yummy!! !Congrats on the awards!Have a lovely week,dear! They look perfect Jay! I love homemade potato chips, your right what could be better? Just when I think of no fired food, you post this....Now have to make them to stop the day-dreaming..Congrats on your awards. Delicious looking potato chips. Excellent preparation. crispy and addictive snack,perfectly done.Congrats for the award. These look really great----and crunchy! That looks really good Jay. Love it. Super idea on these easy chips. Oh! I could eat them all just like that. Love them. delicious n perfect! !am a big fan of potato chips..
congrats on the well deserved awards,dear.. They look straight out of the store...congrats on the awards ! chips look soo crispy ....perfect!! OMG, those chips look so perfect. I wonder if they would turn out that well if I made them? There's only one way to know, right? I believe I have all the ingredients in my pantry! 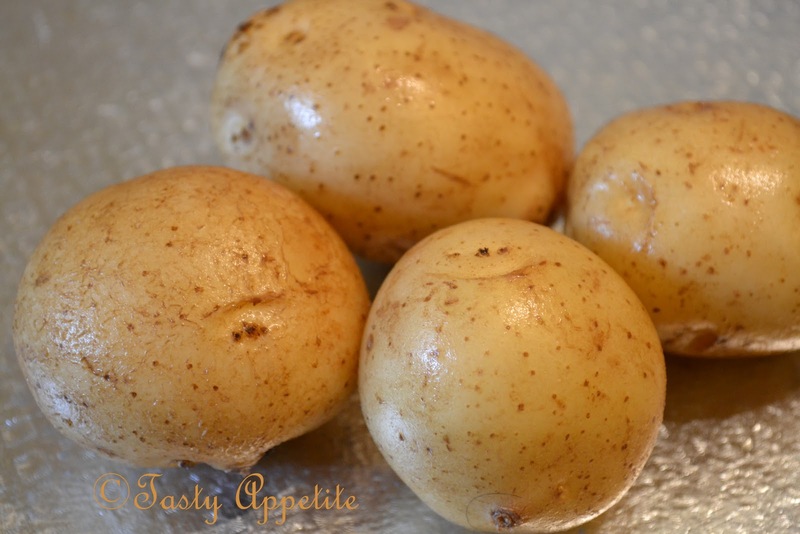 Thanks for showing us how easy potato chips (my fav snack) are to make. Who doesn't like potato chips?... thanks for sharing Jay! Thanks for the lovely comments on my blog :)Can't wait to try some of your delicious recipes here! Jay they look better than store bought perfectly done. Congrats on your awards and thanks for sharing it with me. Awesome chips,and congratulations on the award! This is so suitable to eat during festive like CNY, hehehe! Thanks for the award, Jay. Heartiest congratulations to you for all your awards. Keep it up! Potato chips looks crispy, crunchy and yummy. Congrats on your awards and amazing crisps/ chips! The chips look so perfectly crisp and golden! Feel like having a few..or maybe more! hi jay, wow! thank you so much for the many awards..more than that , i wish to thank you for your kind thoughts in remembering me on something great like awards.. congrats to you too, you deserve them all. Delicious and crispy Potato chips, congrats on your award. i must try that. i love chips..
Congrts 4 those awards..u really deserve them dear! 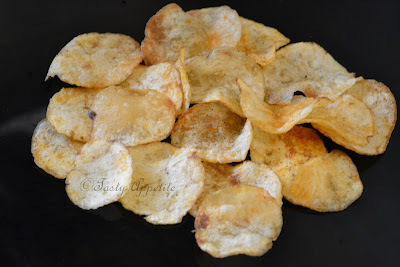 crispy and delicious chips....you have a very nice blog with tempting recipes..a well deserved award.. Potato wafers are my love...can't simply stop by having one..Must try out your homemade version. Great idea. Thanks for visiting. WHo says no this potato chips?Pass me the entire platter jay. These look super delicious - I bet there is no comparison to packaged chips! Prefectly done super crispy chips,congrats on ur awards. Perfectly done dear. Crispy and crunchy. those look just like store bought chips - well done! Crispy and delicious chips. Love it. Chips looks crisp n yummmm! Congrats on your awards, thanks for sharing it with me! These look great! I'm not much of a potato chip fan but my mom loves them. Hi Jay, thanks for stopping by and commenting on my little corner of crazy :). Your chips are probably the best looking homemade version I've ever seen. These are definitely going on my list :). (Also loved looking through the list of paneer recipes you've assembled... can't stop from drooling :)). Congratulations with the award, you definitely deserve it. congrats on your awards and thankyou for your kind words about my blog.....much appreciated. Perfectly made potato chips......my fav snack any time.